People aren’t the only ones feeling the heat from northern Ontario forest fires. People aren't the only ones feeling the heat from northern Ontario forest fires. The farming community around Sudbury is rallying together to look after animals that need shelter after evacuation orders hit the Key Harbour and Hartley Bay areas over the weekend. Julie Palmaruk, with Pine Ridge Ranch in Hanmer, assembled a database of names of people willing to help with the efforts. "You get concerned about what could happen...you don't want to think about the worst, but then you start to smell the smoke from Temagami, then realize how bad it was going to be." "Then Parry Sound 33 started, and it hit home that these were going to be bad fires." Palmaruk began by posting on social media the names of a few contacts who were willing to accommodate any farm animals that needed to relocate during the evacuation. "It started off as a small list... I had a few friends who could help with farm animals," Palmaruk said. "I thought, when you evacuate you don't have much time...farm animals are more difficult to move than a cat or dog...instead of having to find these posts, I'd make this public list." More offers to help came rolling in, more quickly than she had expected. "On Saturday, when the evacuations hit fever pitch, you started seeing people posting stuff, saying 'I can help, I've got a tractor and trailer." "The list grew so fast that I ended up making a list of so many names, so many contacts." She doesn't know how many people ended up sourcing help through the list, as the evacuees could contact their helpers directly. But some farm operators, like Kate Wilkins of Hartley Bay Road, said she's very thankful that the tight-knit community of farmers stepped up to help when news of the fire reached them. "The smoke had started to roll in, some ashes began to fall," Wilkins said. "We knew we had to get our horses at the very least, out." "We sent out the call we needed somewhere to go, [Pine Ridge owner] Paul got back to us right away, said not a problem," Wilkins said. 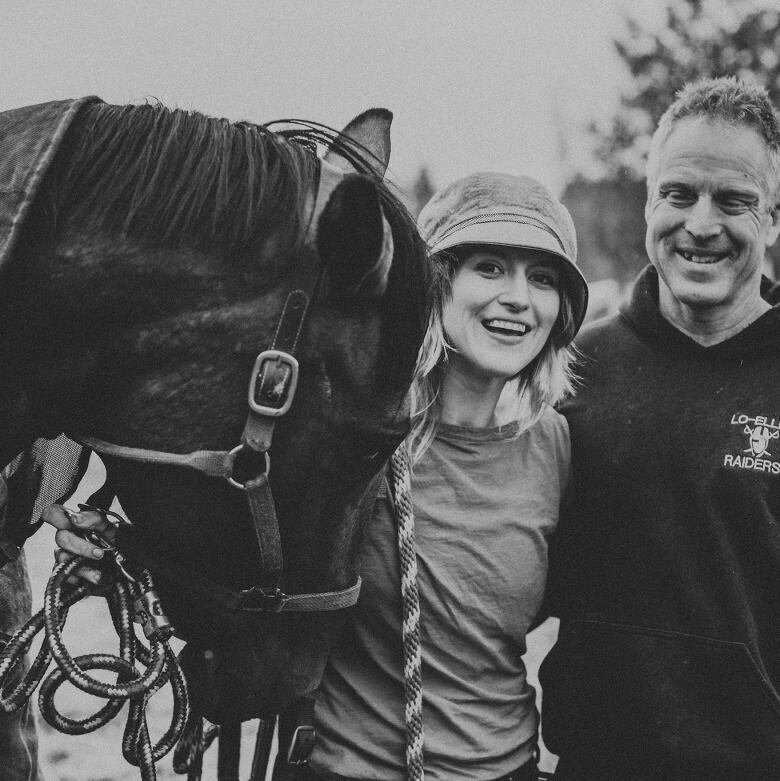 "He cleared out one of his pastures, gave us the run of the pasture while we waited for the smoke to clear." 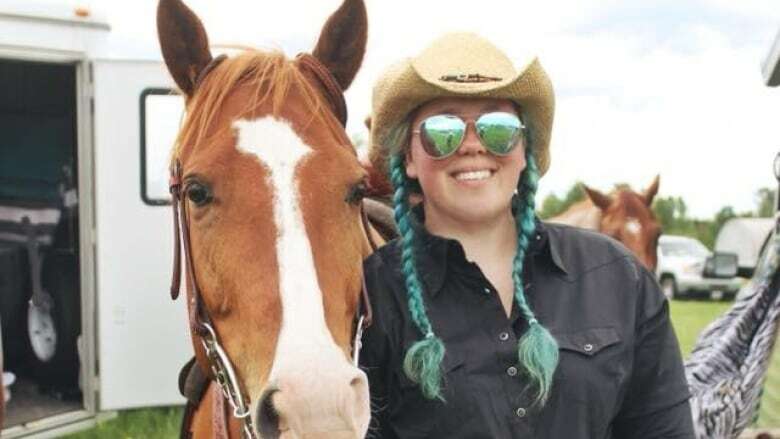 Wilkins was able to return Tuesday with her horses, and said despite the turmoil and the uncertainty about the fire situation, she feels like the community stepped up to support each other. She said she's is helping out her neighbours by feeding chickens and keeping water nearby until they return. "The community has been phenomenal in terms of communication and helping each other out...It kind of restores your faith in humanity when something like this happens."